Starting with 9th of May the Lunar Nodes Axes with shift to Leo – Aquarius and it will quest to develop your inner strength. The True North Node of the Moon is in Leo from May 9, 2017, to November 6, 2018. The Mean North Node of the Moon is in Leo from April 28, 2017, to November 16, 2018. The last time the True North Node transited Leo was from October 1998 to April 2000. Before that, January 1980 to September 1981. Generally speaking North Node brings change, asking for concrete results, invite you for implication, amplify events and feelings, helping you to focus. South Node brings surrenders, seclusion, letting go. ASCENDANT IN ARIES: This shift is activating your 5-11 axes and you may start to take more care of you children, if you have any. If you do not have yet you may think to conceive one. If you are in a love relationship then your attention will focus on her/his. Activate your creativity and use it in practical way, get practical results and do not remain on theoretical stage. Also you may start to invest in stock exchange. Instead, due to South Node in 11th house, you may not participate as much as before of all kind of events, organisations and even relationship with your friends will decrease. ASCENDANT IN TAURUS: This shift is activating your 4-10 axes and you may focus more on your home environment, your family, your parents, real estate investments, renovation, moving in a bigger house. For your benefits it is better in this period to avoid lending money to other people. Also you may work more from home (home office) and you will feel much better to work in this way. 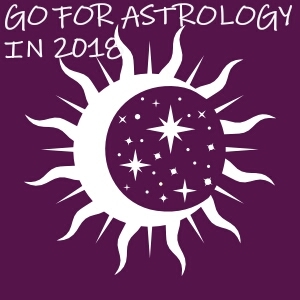 Instead, due to South Node in 10th house, you may avoid competition in your work environment and try to do at most what is written in your job sheet. ASCENDANT IN GEMINI: This shift is activating your 3-9 axes you will be involved in trading, writing, editing, public relations, learning, traveling, negotiations and communication. Also your relationship with your siblings will increase for both parts benefits. Instead, due to South Node in 9th house, you may and you may have changes in your faith and in philosophy of life. ASCENDANT IN CANCER: This shift is activating your 2-8 axes you may increase your wealth due to your daily work and you may invest in valuable assets and also you may start to save money. Also you will take care of your family to have a better life. Instead, due to South Node in 8th house, you may have less activity together with your spouse’ family and also you may not have too many expectations from your spouse as you may had before. If you can pay all your debts to banks or other financial institutions and avoid to get another loans. ASCENDANT IN LEO: This shift is activating your 1-7 axes you may become more egocentric and you may wish and receive more fame, personal success, a better public image in media, especially if you are politician, actors, artists or working in a creative environment. Now you are able to show all your great qualities and it is time to look better, physically. Your charm will make other people to love you and want you in their life. Instead, due to South Node in 7th house, you may have less focus on your partner’s wishes. If you are in a toxic relationship it will be more easier for you to quit. You will not accept anymore an abusive partner, no matter if we are talking about personal or business relationships. ASCENDANT IN VIRGO: This shift is activating your 12-6 axes you may discover your spiritual path due to isolation, retreats and spiritual pilgrimage traveling. You are able now to now yourself better, to discover new qualities and to make an inner cleaning. If you are able to get a sabbatical year due to self spiritual reason then you will make a great leap in your life. At the end of this transit you will be a different person, a better one. Instead, due to South Node in 6th house, you may have less focus for daily work and routines and to see the self as part of a greater whole. ASCENDANT IN LIBRA: This shift is activating your 11-5 axes you may start to develop a network of people with common interests and yours, also you may gain more money within your connections and friends. You will meet new friends, new collaborations and you may be involved in new group activities. Do not refuse any invitation to parties and social events. It is quite possible to open your organisation and to involved people in your activities. Instead, due to South Node in 5th house, you will not focus too much on your children because maybe they are now on the right path and for sure you will avoid to conceive a new one. If you do not have already a successful love relationship, you will avoid to search for a new partner, even you will have a lot of opportunities to find one. ASCENDANT IN SCORPIO: This shift is activating your 10-4 axes and you may focus on your career and social environment, you feel the need to improve your public image, to have a better reputation and fame. You are very ambition and competitive and you may become egocentric in your work environment. You are the boss and everybody should know this. Changes in your career will occur during this transit. Instead, due to South Node in 4th house, you will not focus on your family and house environment, you may delegate your tasks to another family member. ASCENDANT IN SAGITTARIUS: This shift is activating your 9-3 axes and you may focus on searching of your own true and discovering a new philosophy of life and to understand better your religion state. Also you will realize that you should deepen your education, so you may travel abroad for learn new subjects. This is very important for your future professional evolution. Also, some of you will want to travel worldwide for a longer period, you may become an expert in traveling and you will be able to become a very good tourist guide, if you wish. Instead, due to South Node in 3rd house, you need to let go of past life tendencies to be narrow minded and learn to broaden your perspectives. Open your mind. Think out of the box. ASCENDANT IN CAPRICORN: This shift is activating your 8-2 axes and you may discover all kind of secret, about you, your spouse, your business partners. Relationship with your spouse’s relatives will develop and your life partner may gain more money and will invest in family interest. You may start to study all kind of esoteric science: astrology, numerology, alchemy, yoga, qigong and so on. You start a process of self transformation and you if you get a loan form a bank be sure to invest these money in profitable assets of business. This means that you should make money from these investment and you do not generate only costs. Instead, due to South Node in 2nd house, you need to to learn self-control when is coming of your material values. ASCENDANT IN AQUARIUS: This shift is activating your 7-1 axes and you may focus on your spouse, your personal and business relationships. If you are actor, politician, a public figure you may attract more then ever the other people attention. For you is important during this transit to have right relations. You need to let go of ego-centered actions and involved in relationships and collaboration. If you are not yet married during this transit you have a big change to make this big step. Instead, due to South Node in 1st house, you may let e focus on yourself and start to look around. ASCENDANT IN PISCES: This shift is activating your 6-12 axes and you may learn to be more responsible and to become more productive. You do not want to lose anymore, so you may become a warrior for your rights. You may get better collaboration with your co-workers and work environment develop in a better way. You will take care more about your health, daily routine and you may get a new pet in your house. Instead, due to South Node in 12th house, you may let go of the desire to escape into fantasy and start to accept the reality as it is.